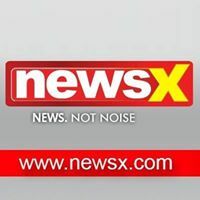 News TV Channel / NewsX has been created as a news channel for the 21st century global Indian. The channel combines the depth and coverage of print journalism with the quality of international television production. NewsX takes pride in its tone, and look & feel and is walking down the road less travelled by focusing on news and staying away from hysteria and sensationalism. Our goal is to engage viewers, not enrage them. NewsX is India’s fastest growing English News Channel and enjoys highest viewership and highest time spent amongst educated urban Indians.